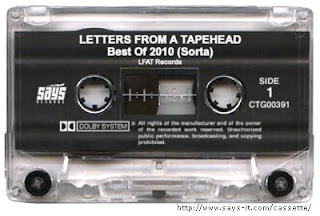 So, my "Best Of" list did not go up last year, though the playlist for my favorite songs of 2009 were compiled. It wasn't for lack of trying necessarily, but 2010 was underway once I'd begun covering some of '09s stragglers, and I sort of wanted to get a move on the new year. 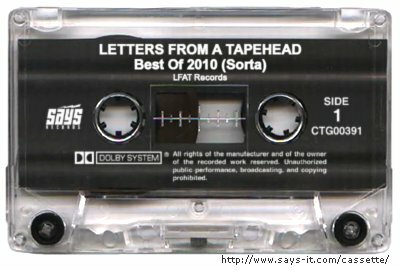 That being said, for about a month I've been eager to begin getting my list for 2010 ready, not to mention a new mix for January 2011. Stereokiller has begun taking inventory of the favorites of 2010 and I got inspired to see where I stand so far. This is not definitive list, so I can't yet be held accountable for glaring omissions. But, I would like some participation so if anyone wishes to opine about the best that 2010 had/has to offer, send some comments.